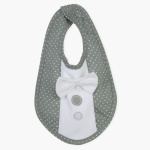 Juniors Printed Bib with Bow Detail and Press Button Closure | Multicolour | Helps to prevent baby clothes from getting stains. Let your little girl enjoy mess-free meals with the help of this printed bib, which sports an appealing bow detail. 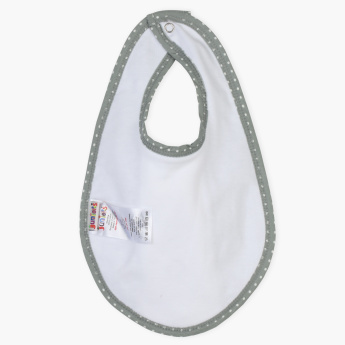 Thanks to its absorbent material, this bib soaks in spills and drool easily. It also features a press button closure to keep the bib in place during meals.